Be bold. Be creative. You only need to impress yourself. An extremely fun breakfast…. and all the credit goes to Aki at japanese-food.org for the recipe. 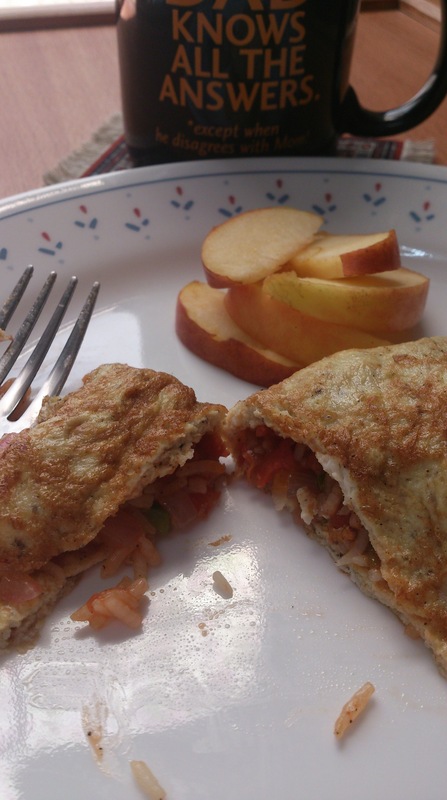 Do visit the site for a detailed step by step tutorial ( and her omelet is far prettier than my version) and some other authentic Japanese cuisine. Last year it was my daughter with Celiac disease and this April we found out that my husband is allergic to gluten too. I found gf breakfast to be the most challenging meal of the day … it needs to be hearty, quick and easy to make and of course flavourful. This particular recipe checks all three boxes. I think I have been making this at least twice a week for the past few months, mostly on weekends. Sometimes I add cheese, capsicum, jalapeno too. Another shortcut is making some extra filling and refrigerating it for the next day. In a frying pan heat cooking oil, add onion and saute for few seconds. Add grated carrots, mushroom and capsicum and cook for a few seconds. Add rice, ketchup and seasoning, mix well and cook for few seconds. Remove from heat. In another frying pan, heat oil and pour beaten egg in the pan. Let it cook and set, about 15 seconds and flip. 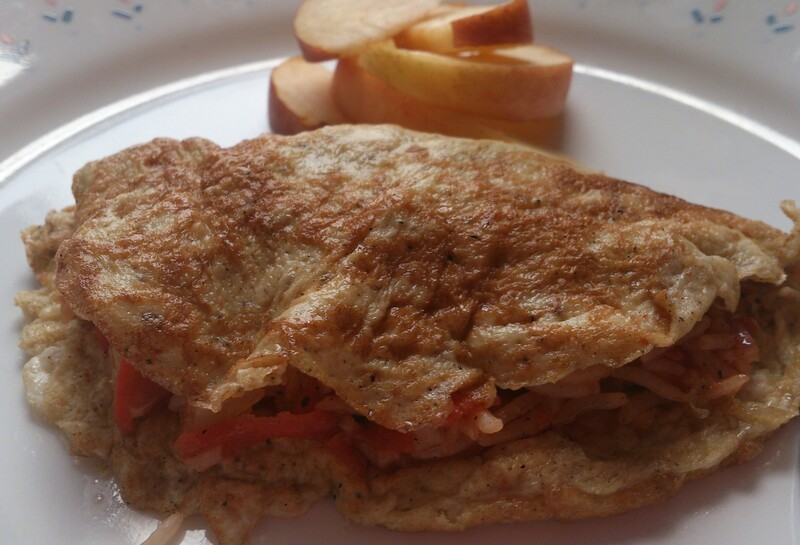 Carefully place the prepared filling on the omelet and fold. Transfer to a serving plate and serve. In the original recipe two eggs are used for one serving. My husband prefers one egg so this version uses one. thanks 🙂 It sure is! I like your covering way with the cooked egg! !